The manager here is super friendly and the restaurant is spotless. We came in for lunch while getting our brakes done across the parking lot. I got the gyro special and my boyfriend got the Philly cheesesteak. Both delicious. It was early afternoon so not super busy and we were able to relax, have a nice lunch and chat with the manager. Pizza was very good. Huge slices. Toppings seemed to be high quality. Looking forward to trying some other dishes next time. I could tell they were really trying to make a good impression. Time will tell if they can keep consistently cranking out good pizza. For now I'm giving four stars. Love the pizza, calzone and salads. Everyone that works here is super nice! Yes, they really are from New York! :). Don't forget the baklava! Great for vegetarians too. I called my pizza to pick up. The man was very helpful with ordering and nice. My family enjoyed the pizza and I loved the Greek salad. I will come back to this pizza spot! Love NY style pizza.unfortunately this was not even close...the crust was not fresh or thin and was covered with corn meal ... the sauce was lacking flavor ...The staff was very friendly but wont go back...Coney Island is the number one New York style pizza in Poway!! 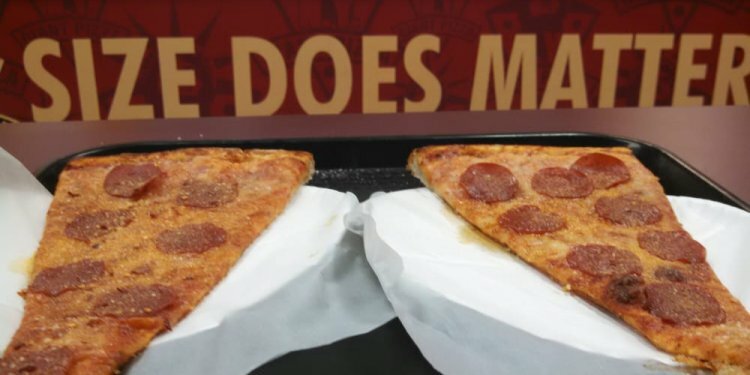 by far the best pizza in Poway, the sauce, cheese, crust and toppings all enhance each other none taking over the other all just combining to make the perfect pie. and to add to the perfect taste the sprinkle of herbs on top are the bomb. you must try this pizza. you will never go back to anything else. His place is amazing, Poway has been waiting for a good pizza joint to open up for several years like this. I've tried the Fries, wings, sandwiches and of course pizza! Everything I've had is delicious. If any of you had a bad experience I'd def give it another shot. Came in last night to try new local pizza place. Ordered pepperoni pizza and wings. The pizza wasn't bad my only issue with the pizza was the price $15 for a standard no frill pizza with a 20 minute wait. The wings were terrible soggy cheap all skin and fat wings with Franks on them. Waste of $7. My last issue with this place is u organized and unsanitary. They had at least 10 people in the kitchen 3 of them being very small children from 4 years old down to new born. I could see 2 baby bottles sitting on a food prep counter when they opened the doors to out with my pizza. On top of that the lady that rang us was using a calculator. Very ghetto for a brand new establishment. I'll stick to my grade A Coney island down the street. I love this place !! I must say they have the best pizza in town! The delicious smell of the pizza and the fresh taste makes you want to come back again and again. Their buffalo wings and Philly cheesesteak is also the best ! Must try !! Very organized and clean place to eat in. The staff is super friendly ... they make sure each customer is satisfied with the food and service quality. !